An adoption scheme has saved more than 7,000 olive trees in the village of Oliete in Spain, which is the world's largest producer of olive oil. For €50 a year, an individual can sponsor one of 100,000 abandoned olive trees in the region. The scheme also aims to create jobs and attract families to the village, which has just 357 residents, half of whom are aged over 65. A century ago it was a community of 2,500. 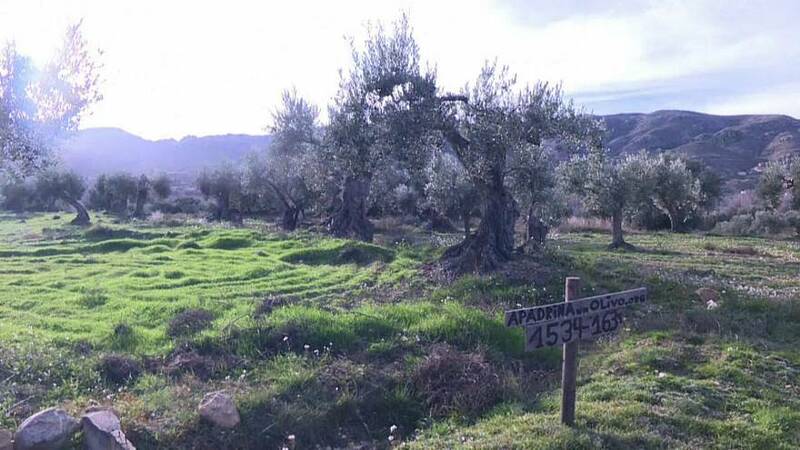 "They're over 500 years old," Sira Plana told AFP, as she pointed to Oliete's olive groves, many of which are thriving now thanks to the adoption scheme, which has prevented this northeastern Spanish village from dying out. Some 2,500 sponsors receive photos of their olive tree — along with two litres of olive oil a year. As well as the satisfaction of knowing their money will be ploughed back into the local economy and help create jobs, sponsors are also given the chance to name their tree. "We tried to do it in a way that people would get emotionally involved in the project," said Plana, co-founder of Adopt an Olive Tree. She quit a job in the cosmetics industry to move to Oliete and launch the project four years ago. This seems to have worked, going on the sentiments of Esther Lopez, a 41-year-old accountant from near Madrid, who adopted a tree three years ago. "It's much more than a tree. With my €50 and the €50 of others, they can get a village which otherwise would be abandoned back on its feet." Residents began moving away from rural towns and villages such as Oliete, in the Aragon region, after Spain's 1936-39 civil war to find work in factories in cities. Some parts of Spain were left with just two people per square kilometre — the same population density as Siberia. The province of Teruel, where Oliete is located, has just 9.1 inhabitants per square kilometre, compared to the national average of 92. "If there is work I can stay here forever," said newcomer Cesar Tarradas, 36. The tree adoption scheme has also provided a reprieve for the local school. With the arrival of young children, Oliete's small school "will remain alive for another 10 years," said its young teacher, Ana Lomba. "Having a school is what gives strength, maintains the flame of a village because a village without a school is destined to disappear," added Lomba. The school hallways are decorated with pupils' drawings which illustrate popular Spanish sayings about olive trees, including the very apt: "Olive oil cures all". Gibraltar: How did it become a British enclave south of Spain?